A comprehensive investment dictionary with thousands of investment terms and counting. This investing glossary has definitions related to finance, investing, trading and the stock market. We strive to create easy to understand explanations and definitions. The hours that stocks can be traded after the major exchanges have closed. Person who forecasts stock earnings and recommends when to buy, hold, and/or sell a stock. A declining market condition in which the prices of stocks are falling. The price a buyer is willing to pay for a stock. A nickname for the New York Stock Exchange (NYSE). Founded in 1792, the NYSE is the oldest exchange in the United States, and the largest. It is located on Wall Street in New York City. The sale or purchase of large quantity of stock. Also known as “Block Order.” In general, 10,000 shares of stock (not including penny stocks) or $200,000 worth of bonds would be considered a block trade. A nationally recognized, well-established and financially sound company that has demonstrated its ability to pay dividends in both good and bad times. These stocks are usually less risky than other stocks. The stock price of a blue chip usually closely follows the S&P 500 index. Total shareholder’s equity from balance sheet divided by the number of shares outstanding. It is the total value of the company’s assets that shareholders would theoretically receive if a company were liquidated. By being compared to the company’s market value, the book value can indicate whether a stock is under- or overpriced. Is a charting (technical analysis) term meaning a stock price has moved above or below a previous trading range. A rise in a security’s price above a resistance level (commonly its previous high price) or a drop below a level of support (commonly the former lowest price.) A breakout is taken to signify a continuing move in the same direction. Can be used by technical analysts as a buy or sell indicator. A popular technical analysis method of charting price fluctuations that displays an asset’s opening, closing, high, and low prices for the period. Called a candlestick because it simply looks like a candlestick where it is usually composed of a body, and an upper and a lower shadow often called the wick. A candlestick features four data points: an open, a high, a low, and close. Another feature of candlesticks is that it uses color to explain what has happened during the trading period. There are two types of color used; one color is used for an up candle and another for when the price falls. White-bodied boxes represent upward movement in the price of the asset: the bottom of the body is the opening price and the top of the body is the closing price. Black-bodied boxes represent downward movement in the price of the asset: the bottom of the body is the closing price and the top of the body is the opening price. In both cases, the top vertical line shows the high price for the period, and the bottom vertical line shows the low price for the period. Used in technical analysis for the process of evaluating a stock’s price and volume history in order to make sound buy and sell decisions. The price at which a stock closed for the end of trading on a given day. The electronic market data feed that reports quote and execution transactions from all registered national stock exchanges. This is a fee an investor pays a broker for buying or selling stock. Shares of a publicly held corporation that represent equity ownership in a company. Usually includes voting rights. Common stock has lower priority in event of liquidation than preferred shares. The stock of a company that produces consumer-oriented products like food, beverages, tobacco, pharmaceuticals. Used in technical analysis and is a pattern on bar charts resembling a cup with a handle. The cup is in the shape of a “U” and the handle has a slight downward drift. The right-hand side of the pattern has low trading volume. It can be as short as seven weeks and as long as 65 weeks. Stock that tends to rise quickly when the economy turns up and fall quickly when the economy turns down. Examples are housing and automobiles. For example, Ford is a cyclical stock since its business of selling autos is highly dependent on a robust economy with its attendant high levels of employment, rising personal incomes, etc. A plan implemented by a corporation allowing purchase of shares, or fractions of shares, directly from the company, usually on a regular basis. A brokerage house featuring relatively low commission rates in comparison to a full-service broker. The lack of investment advice accounts for lower fees. A distribution of a portion of a company’s earnings to a class of its shareholders, usually paid out in cash on a quarterly schedule. A term used in technical analysis to refer to the rise of a stock’s price, a drop, and then a rise back to the same level as the original rise. The pattern looks like the letter M. In technical analysis, this pattern is interpreted negatively suggesting that there is some resistance level (top of the M) whereby the stock can’t go higher. A term used in technical analysis to refer to the drop of a stock’s price, a rebound, and then a drop back to the same level as the original drop. The pattern looks like the letter W. In technical analysis, this pattern is considered a positive for the stock. The stock has bottomed out and the technical analysts would expect the stock to appreciate afterwards. The Dow Jones Industrial Average, often referred to as “the Dow”, is a price-weighted average of 30 significant stocks traded on the New York Stock Exchange and the Nasdaq. The DJIA was invented by Charles Dow back in 1896. The DJIA is the oldest and single most watched index in the world. The DJIA includes companies like General Electric, Disney, Exxon and Microsoft. A negative change in the rating of a stock that is issued by a stock analysts. A downgrade is typically issued when the future prospects for the company’s stock has weakened from the original recommendation, usually due to fundamental or financial change in the company’s operations, future outlook or industry. Describes the price movement of a stock when the overall direction is downward. A formal downtrend occurs when each successive peak and trough is lower than the ones found earlier in the trend. Earnings per share is a measure of a company’s profit. It shows the dollar value of earnings per each outstanding share of a company’s common stock. The EPS figure gives investors an idea on the company’s performance and shows how much money a share of stock earned or lost as a result of selling goods and services. Read More. ECNs is a type of computer system that facilitates trading of stock outside of stock exchanges. Is a developing country that is progressing towards becoming advanced. Emerging markets are sometimes sought by investors for the prospect of high returns, as they often experience faster economic growth. Although, investments in emerging markets come with much greater risk due to political instability, currency volatility and limited equity opportunities. The completion of a trade. For example, you placed a stock order to buy 100 shares and your trade was executed at $4.00 per share. Trading that occur after regular trading hours. This is the highest price that a stock has traded at during the last 52 weeks. This is the lowest price that a stock has traded at during the last 52 weeks. The interest rate that banks with excess reserves at a Federal Reserve district bank charge other banks that need overnight loans. The Fed funds rate, as it is called, often points to the direction of U.S. interest rates. The number of shares of a stock that are outstanding and available for trading by the public. The float is calculated by subtracting restricted shares from outstanding shares. Stocks with a smaller float tend to be more volatile than those with larger floats. A brokerage firm/stockbroker offering investment advice and other services not usually offered by discount brokers. This is an agreement that allows an investor to buy or sell a commodity, like gold or wheat, or a financial instrument, like a currency, at some time in future. A future is part of a class of securities called derivatives, so named because such securities derive their value from the worth of an underlying investment. When a private company first offers shares to the public market and investors. See also: IPO. A buy or sell limit order that will expire at close of trading if not executed. A buy or sell limit order placed with a broker meaning that the order placed remains active until it is either filled or canceled. A technical analysis term used to describe a chart formation in which a stock’s price: Rises to a peak and subsequently declines. Then, the price rises above the former peak and again declines. And finally, rises again, but not to the second peak, and declines once more. The first and third peaks are shoulders, and the second peak forms the head. The head-and-shoulders pattern is believed to be one of the most reliable trend-reversal patterns. Making an investment to reduce the risk of adverse price movements in an asset. Normally, a hedge consists of taking an offsetting position in a related stock, such as a futures contract. A term used to describe an investment fund setup by a money manager that uses advanced investment strategies such as long and short positions in stocks with the goal of generating high returns. The manager of the hedge fund, typically the person that created it, is paid a percentage of the profits he or she earns on the money investors have deposited with his company. A term used by traders when a stock has hit an all-time high for the current 52-week time period or can also refer to when a stock is at its intraday highs. To maintain ownership of a security over a long period of time. “Hold” is also a recommendation of an analyst who is not positive enough on a stock to recommend a buy, but not negative enough on the stock to recommend a sell. Notification by a brokerage house that a customer’s margin account is below the minimum maintenance level. The client must provide more cash or equity, or the account will be liquidated. A benchmark against which financial or economic performance is measured, such as the Dow Jones Industrial Average or the S&P 500. The first public issue of a stock from a company that has not previously been publicly traded. For example, Facebook made its IPO debut in May of 2012. These are directors and senior officers of a corporation, someone who owns more than 10 percent of the voting shares of a company. An insider also is those who have access to inside information about a company and may include anyone who possesses or has access to material, non-public information (inside information), including tippees. Shares bought and sold by company insiders, such as directors and officers. These individuals are required to disclose their trades before they happen and they must follow the SEC’s reporting requirements. Insider trading can be illegal or legal depending on when the insider makes the trade: it is illegal when the material information is still nonpublic–trading while having special knowledge is unfair to other investors who don’t have access to such knowledge. Illegal insider trading therefore includes tipping others when you have any sort of nonpublic information. Insider trading is legal once the material information has been made public, at which time the insider has no direct advantage over other investors. Term meaning “within the day,” often to refer to the high and the low price of a stock. The most recent trade performed in a stock. An order through a broker to buy or sell at a specific price or better. Limit buy orders are executed at or below the specified order price. Limit sell orders are executed at or above the specified order price. The degree to which a stock can be bought or sold in the market without affecting the asset’s price. Liquidity is characterized by a high level of trading activity. Stocks that can be easily bought or sold are known as liquid assets. Going “long” is a market position of an investor that has bought and currently own stock; the opposite of short. This allows investors to buy stocks by borrowing money from a broker. The margin is the difference between the market value of a stock and the loan a broker makes. In order to take advantage of margin, and investor must open a margin account with his or her broker. A broker’s demand on an investor using margin to deposit additional money or securities so that the margin account is brought up to the minimum maintenance margin. Margin calls occur when a you account value depresses to a value calculated by the broker’s particular formula. This is sometimes called a “fed call” or “maintenance call”. 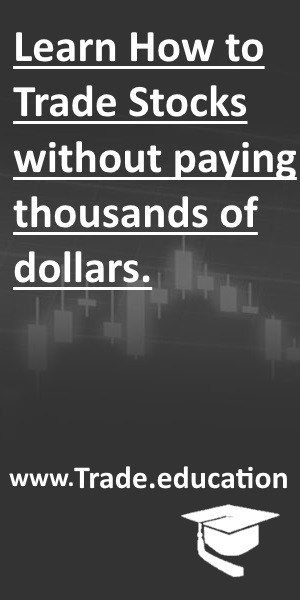 A stock exchange member who provides liquidity for stocks by buying and selling, generally using computers and algorithms. Market makers make their profit on the spread, that is, the difference between the bid and the ask prices. This is an order to buy or sell a security at the current trading price. It is executed as quickly as possible at the best price available. This is the company’s market capitalization. The total dollar market value of all of a company’s outstanding shares. Market capitalization is calculated by multiplying a company’s shares outstanding by the current market price of one share. If a company has 10 million shares and the company’s shares are selling for $10, the market cap is $100 million. Capitalization is a measure of a company’s size. A stock of a public company in the United States which has a market capitalization of roughly $50 million to $300 million. The amount of acceleration of an economic, price, or volume movement. A trader that follows a movement strategy will purchase stocks that have recently risen in price to take advantage of the momentum. A moving average is an average of a security’s price over a specific time period. The average changes, for example, on a 30-day moving average, so that it includes the most current 30 trading days. Moving averages often indicate levels of support or resistance for a security. This is a technical indicator that shows the relationship between two moving averages of prices. The MACD is calculated by subtracting the 26-day exponential moving average (EMA) from the 12-day EMA. A nine-day EMA of the MACD, called the “signal line”, is then plotted on top of the MACD, functioning as a trigger for buy and sell signals. Mutual funds are pools of money that are managed by an investment company. They offer investors a variety of goals, depending on the fund and its investment charter. Some funds, for example, seek to generate income on a regular basis. Others seek to preserve an investor’s money. Still others seek to invest in companies that are growing at a rapid pace. Funds can impose a sales charge, or load, on investors when they buy or sell shares. Many funds these days are no load and impose no sales charge. A privately-owned company that was established in 1913 to provide investors with information on stocks and bonds traded over the counter (OTC). The company now mainly offers electronic services, including data access, on its website. NQB changed its name to Pink Sheets LLC in 2000 and then to Pink OTC Markets Inc. in 2008. It is considered a non-exclusive securities information provider by the Securities and Exchange Commission (SEC). The NYSE is the largest stock exchange in the world by market capitalization. For many years, the NYSE was mainly done face-to-face on the trading floor. Today, the NYSE offers a hybrid model, with a floor-based marketplace and an electronic one. More than half of all NYSE trades are conducted electronically, although floor traders are still used to set pricing and deal in high volume institutional trading. Some of the largest companies in America are listed on the NYSE such as Walmart, Coca-Cola, McDonalds and many others. The price at which a stock opened trading on a given day. A stock can open at the previous closing price, gap up or gap down. Stock currently held by investors, including restricted shares owned by the company’s officers and insiders, as well as those held by the public. Shares that have been repurchased by the company are not considered outstanding stock. The OTC market is for securities not listed on a stock exchange. Also describes Pink Sheet stocks and bulletin board stocks. The term “penny stock” refers to stocks trading for less than $5 per share and are often considered high risk and speculative. It also refers to stock trading in the OTC markets or Pink Sheets. → Read more on Penny Stocks. → Read more on Penny Stock Scams. This calculates the percentage change in the price of a stock from the previous trading day’s closing price. A type of stock issued by a company. Holders of preferred stock are usually guaranteed a dividend payment and their dividends are always paid out before dividends on common stock. Preferred stock exposes you to somewhat less risk of losing money, but has less potential for total return on your investment compared to common stock. The Price to Earnings ratio (P/E ratio) is a financial ratio and is calculated by taking the stocks current share price and then dividing by the latest earnings per share. For example if a company is trading for $15 per share and has earned $3 per share this year. The company’s P/E ratio is 5 (15 / 3 = 5). The PEG ratio is used to determine a stock’s value while factoring in the company’s earnings growth. The PEG ratio calculation uses the basic format of the P/E ratio for a numerator and then divides it by the estimated annual EPS growth rate. A financial ratio that is used to evaluate the investment value of a company’s stock. The price to cash flow ratio is calculated by dividing the per-share stock price by the per-share operating cash flow. A valuation ratio that compares a company’s stock price to its revenues. The price-to-sales ratio is an indicator of the value placed on each dollar of a company’s sales or revenues. The P/S ratio is calculated by dividing the current stock price by the sales per share. It can also be calculated by dividing the company’s market cap by total sales over the past 12 months. A pump and dump is an illegal scheme that involves hyping a company’s stock to boost the price of a stock through recommendations based on false, misleading or greatly exaggerated statements. An option contract giving the owner the right, but not the obligation, to sell a specified amount of an underlying asset at a set price within a specified time. The buyer of a put option estimates that the underlying asset will drop below the exercise price before the expiration date. A monetary policy in which the central bank engages in open market transactions aimed at increasing money supply in the economy. Easing could also involve direct money creation (printing). A quarterly filing made by public companies to report their performance. Included in earnings reports are items such as net income, earnings per share, earnings from continuing operations and net sales. These reports follow the end of each quarter. Most companies file in January, April, July and October. An earnings report is a ‘report card’ of sorts for a public companies. It is through these reports that companies let shareholders know how well they have performed over the past time period. The price at which the last trade of a particular stock took place. A quote generally shows the current bid and ask price. A real-time stock, bond, option or futures quote is one that reports the most current price available when a security changes hands. A delayed quote shows a security’s price 15 minutes and sometimes 20 minutes after a trade takes place. Stocks which have been strong relative to all other stocks should continue to be relatively stronger in the future and securities which have been relatively weak tend to continue to be weaker. This is a level where a stock has a difficult time moving through. Resistance levels can be caused by former tops, breakout prices, moving averages, or just price levels where a stock has spent a lot of time in the past. A reduction in the number of a corporation’s shares outstanding that increases the par value of its stock or its earnings per share. The market value of the total number of shares (market capitalization) remains the same. For example, a 1-for-2 reverse split means you get half as many shares, but at twice the price. It’s usually a bad sign if a company is forced to reverse split – firms do it to make their stock look more valuable when, in fact, nothing has changed. A company may also do a reverse split to avoid being delisted. The SEC regulates the securities market to protect investors, maintain fair, orderly, and efficient markets, and facilitate capital formation. The date by which an executed security trade must be settled. That is, the date by which a buyer must pay for the securities delivered by the seller. The settlement date for stocks and bonds is usually three business days after the trade was executed. Short selling (also known as shorting or going short) is the practice of selling stock that have not been purchased beforehand, but which the seller may have borrowed from a third party with the intention of buying identical stock back at a later date to return to that third party. Investors who sell stock short typically believe the price of the stock will fall and sooner or later, must “close” the short by buying back the same number of shares (called covering) at the lower price and make a profit. Going “short” is the opposite of going “long”. Total number of shares of a security that investors have sold short and that have not been repurchased to close out the short position. Usually, investors sell short to profit from price declines. As a result, the short interest is often an indicator of the amount of pessimism in the market about a particular security, although there are other reasons to short that are not related to pessimism. For example, hedging strategies for mergers and acquisition as well as derivative positions may involve short sales. A sentiment indicator that is derived by dividing the short interest by the average daily volume for a stock. This indicator is used by both fundamental and technical traders to identify the prevailing sentiment the market has for a specific stock. A short sale squeeze occurs when there are many short positions on a stock and the stock begins to increase. As the stock price rises, the short sellers scramble to cover their short positions, i.e., buying the stock they have sold back. This creates demand for the stock above that which caused the stock price to start rising in the first place, and can lead to rapid price appreciation. This is the average stock price over a certain period of time. A simple, or arithmetic, moving average that is calculated by adding the closing price of the security for a number of time periods and then dividing this total by the number of time periods. A member of an exchange who acts as the market maker to facilitate the trading of a given stock. The specialist holds an inventory of the stock, posts the bid and ask prices, manages limit orders and executes trades. There is usually one specialist per stock who stands ready to step in and buy or sell as many shares as needed to ensure a fair and orderly market in that security. Specialists are found on the trading floor of the NYSE and the Chicago Board of Trade. A company can create an independent company from an existing part of the company by selling or distributing new shares in the so-called spinoff. This is the gap between bid and ask price of a stock or other security. A stock chart is simply a graphical representation of the stocks price over a set period of time that shows the past prices of a particular stock. Stock charts are used to help traders and investors make decision on buying or selling stocks. → Read our tutorial on Stock Charts. Stocks are traded on what are called stock exchanges. A stock exchange is a marketplace where participants meet to buy and sell shares of stock. It provides a single, neutral location for everyone to come together to execute trades. → Expanded definition or read our tutorial on how stock exchanges work. The stock market is a place where buyers and sellers trade stock of public companies. → Expanded definition or read our tutorial on how the stock market works. The term “stock float” refers to a company’s shares which have been issued to the public that are available for investors to trade in the stock market. A corporate action in which a company’s existing shares are divided into multiple shares. Although the number of shares outstanding increases by a specific multiple, the total dollar value of the shares remains the same compared to pre-split amounts, because no real value has been added as a result of the split. For example, in a 2-for-1 split, each stockholder receives an additional share for each share held. Is a short abbreviation/acronym used to uniquely identify the particular stock of a publicly traded company in the stock market. Depending on the country, a stock symbol may consist of letters, numbers or a combination of both. An order placed through a broker to buy or sell at the market when a definite price is reached, either above (on a buy) or below (on a sell) the price that prevailed when the order was given. A price level below which it is supposedly difficult for a stock to fall past. That is, the price level at which a stock tends to stop falling because there is more demand than supply; can be identified on a technical basis by seeing where the stock has bottomed out in the past. An index of 500 stocks of large-cap companies actively traded in the United States. The S&P 500 is designed to be a leading indicator of U.S. equities and is meant to reflect the risk/return characteristics of large cap companies. The S&P 500 is one of the most commonly used benchmarks for the overall U.S. stock market. Most people agree that the S&P 500 is a better representation of the U.S. market. compared to the Dow Jones Industrial Average index. Technical Analysis is the analysis of a stock’s history to help determine the possible future behavior by studying charts. Technical analysis is used to help traders identify patterns that can help suggest future activity of a stock’s price in an attempt to discover whether it will go up or down in the near future. Also known as illiquid, it is a stock that is infrequently traded, meaning it cannot easily be bought or sold. An oral (or electronic) transaction involving one party buying a stock from another party. Once a trade is consummated, it is considered “done” or final. Settlement occurs 1-5 business days later. A temporary suspension in the trading of a particular stock on one or more exchanges, usually in anticipation of a news announcement or to correct an order imbalance. A trading halt may also be imposed for purely regulatory reasons. During a trading halt, open orders may be canceled and options may be exercised. The difference between the high and low prices traded during a period of time; for commodities, the high/low price limit an exchange establishes for a specific commodity for any one day’s trading. The timeframe of the past 12 months used for reporting financial figures. A company’s trailing 12 months is a representation of its financial performance for a 12-month period, but typically not at its fiscal year end. A trading strategy that attempts to capture gains through the analysis of an asset’s momentum in a particular direction. The trend trader enters into a long position when a stock is trending upward (successively higher highs). Conversely, a short position is taken when the stock is in a down trend (successively lower highs). This occurs on the third Friday of March, June, September and December when futures and stock options, based on the S&P 500 index, all expire on the same day. A stock price perceived to be trading below its fair value, too low or cheap, as indicated by a particular valuation model. For instance, some might consider a particular company’s stock price cheap if the company’s price-earnings ratio is much lower than the industry average. An analyst’s opinion regarding the future performance of a security. Underweight will usually mean that the security is expected to underperform either its industry, sector, or even the market altogether. A stock traded in the over-the-counter market or pink sheets that is not listed on an exchange. An upgrade is a positive change in the rating of a stock, is issued by a stock analyst. An upgrade is usually triggered by an improvement in the fundamentals and financials of a company. a stock trade executed at a higher price than the previous trade. SEC rule that selling short is allowed only on an up tick. Determination of the value of a company’s stock based on earnings and the market value of assets. This describes the fluctuations in the price of a stock or other type of security. If the price of a stock is capable of large swings, the stock has a high volatility. The pricing of options contracts depends in part on volatility. A stock with high volatility, for example, commands higher prices in the options market than one with low volatility. Volatility may be gauged by several measures, one of which involves calculating a security’s standard deviation. This is the daily number of shares of a stock that change hands between a buyer and a seller. Also known as volume traded. Generic term for the financial and investment community, which includes stock exchanges and large banks, brokerages, securities and underwriting firms, and big businesses. Also refers to the street in lower Manhattan that is the original home of the New York Stock Exchange. Warren Buffett is CEO of Berkshire Hathaway and is consistently ranked as world’s richest man. He is a legendary investor, known for his value investing approach and is often considered the greatest investor of all time. An Internal Revenue Service (IRS) rule prohibiting a taxpayer from claiming a loss on the sale of an investment when the same investment was purchased within 30 days before or after the sale date. Also know as the “30-day wash-sale rule”. A list of securities being monitored closely by a brokerage, exchange, or regulatory organization; firms on the list are often takeover targets, companies planning to issue new securities, or stocks showing unusual activity. It is also a term used by investors or traders in which they add stocks to their “watch list” for stocks they might want to trade. The period beginning at the start of the current calendar year up until today’s date.